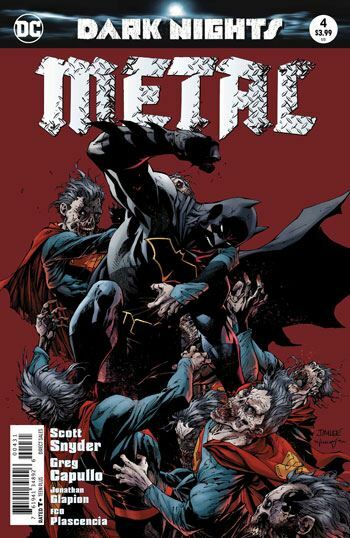 Hop boy it seems like a long time since a dark nights metal issue or tie-in. 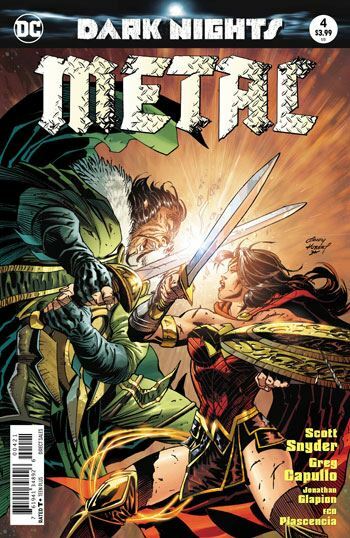 Thankfully the first page recaps where our heroes are and what they are up to, bottom line it was surmised Barbatos the dark bat god that rules the dark multiverse is vulnerable to Nth metal so the League is in pursuit of that. Wonder Woman, Dr. Fate and kendra are on the trail and Hal Jordan is leading a group on Thanagar Prime. Meanwhile Deathstroke and Aquaman are in the oceans seeking the substance around Atlantis. And Batman is Barbatos' prisoner in the dark multiverse with Superman. Clark and Bruce discover Sandman who provides vital information. 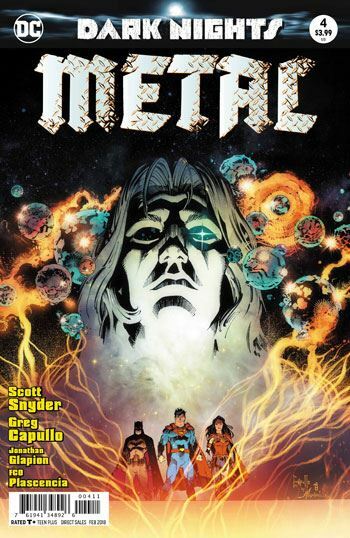 This comic is as Snyder promised an anti-crisis crisis. The callbacks and references are appreciated though. There is even name drops to the anti-monitor who was so pivotal in DC's crisis. 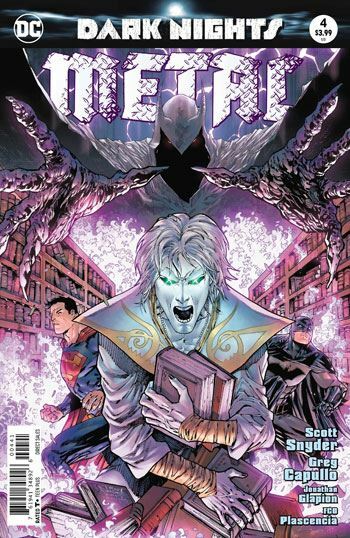 But this series while at heart is a batman story has an impressively massive scope. The stakes are huge and so is the tension. And the art is simply mind blowing in its beauty. Each panel is obviously drawn with care and looks fantastic. If a page is six panels or one the art is alive and jumps off the page.